If you are concerned about details when you travel, then it’s important to research your Mexican auto insurance at MexicanInsuranceStore.com ahead of time so that you know what the advantages and costs are. Although your coverage takes many of your concerns into account, it’s always helpful to be prepared for unexpected situations upon entering the country. You can save some potential frustration by making an extra copy when you buy Mexican insurance online with MexicanInsuranceStore.com. One of the unexpected situations you can encounter on Mexican highways is toll booths. 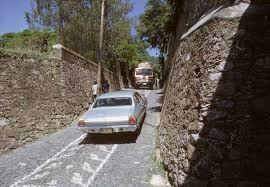 You’ll observe the casetas de cuota, toll houses, as you enter and leave the specific areas that are covered. Your toll is a small fee that can usually be paid in either dollars or pesos. Although you may pay in dollars, your change will probably be rendered in pesos. Exchange rates can vary, meaning that your exact change can be tough to calculate unless you pay with pesos. Your toll covers you in case of an accident resulting from problems with the condition of the road. However, you must have your own Mexican insurance at MexicanInsuranceStore.com. Failing to carry your liability policy can lead to a lack of coverage by toll insurance as well. Military checkpoints, puntos de revisión, are common along highways that are heavily traveled. There may be guards posted to inspect your vehicle and question you about your destination and purpose. At times, you may simply be waved through. It’s important to be respectful in your dealings with the officers. You probably won’t be questioned about your Mexican insurance online with MexicanInsuranceStore.com, but there are times when officers are more inquisitive about such issues. Have your paperwork available in your glove compartment just in case. You may encounter narrow roads, limited guard rails or unexpected drop-offs as you drive. It’s important to be alert for unexpected damage, especially on rural highways. An overturned semi or an unexpected downed tree can impede the progress of your trip at times. If you have problems with your own vehicle, you will appreciate the availability of roadside assistance in your Mexican auto insurance at MexicanInsuranceStore.com. Instructions for accessing assistance are included with your Mexican insurance online with MexicanInsuranceStore.com, making a preliminary review of policy terms and conditions helpful before you travel.